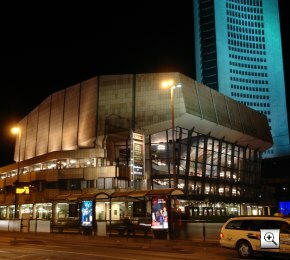 Leipzig sight seeing - City tour in English Photos - Tourism Attractions, Sight from Leipzig please aktivate JAVA ! Here, you find map table this for Leipzig, as well as unlike trip and Germany itineraries..
Leipzig Night Life, where something is free, event calendars, concert tickets Leipzig, cinemas, cabaret & discotheques.. 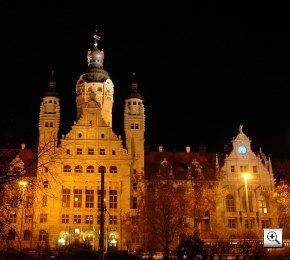 Welcome to Leipzig, the historical fair metropolis from Saxony. Leipzig is situated the east of Germany. It's one of the biggest towns in saxony. The rivers Elster, Pleiße and Parthe floe together here. Geographically Leipzig is situated 118m over the sea level. The landscape is called lowlands. 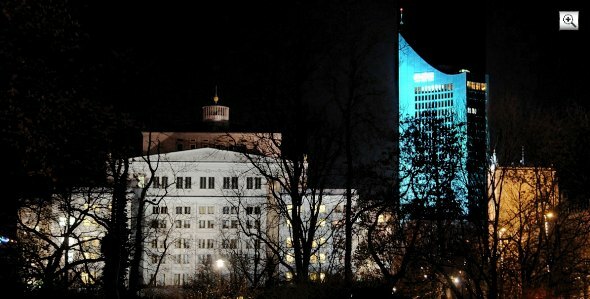 Photo: Leipzig in the night. The City with about 500.400 inhabitants has a dimension of 297 squere kilometers. There are a lot of possibilities to get to Leipzig. You can go by railway, car or airplane. The Saxony triangle is formed by the towns Zwickau, Chemnitz and the capital town Dresden. 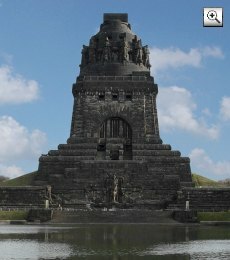 Photo: people battle memorial Sight from Leipzig: The landmark of Leipzig is the 'Battle of the Nations memorial'. It is 96 m high. From there you have a wonderful panoramic view. You can the whole city and also the new leipzig lake land see. In the middle of Leipzig you can see the famous Church St.Nicolai. A sign for the united Germany. Visitors of the city are astonished. In a short time are many old buildings reconstructed. The most sights you arrive during a walk through the city. You can relax during a little break in one of Leipzig Parks. 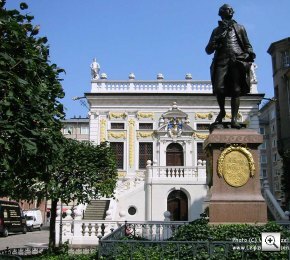 Culture: Artists and poets like Goethe, Lessing and J.S. Bach have leave their signs. 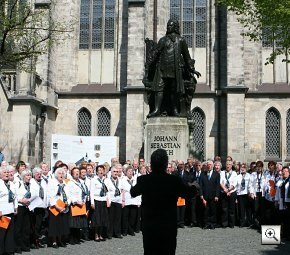 Because of that Leipzig has the reputation to be a centre of culture. 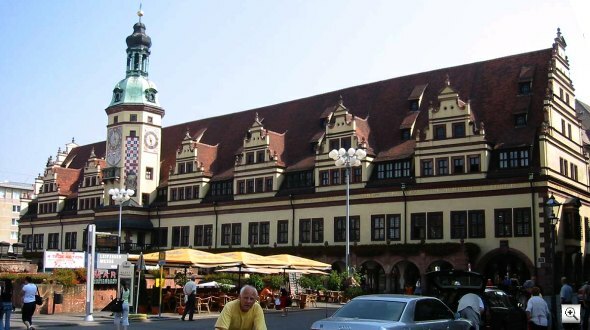 Trade: Leipzig is an old trade and fair City. Leipzig is situated on two important trade and military streets. Today Leipzig is universally known through the >> Leipzig fair. Some of the most important trade fairs of the year are the automobile International fair "AMI", the "Leipzig Book Fair",the "Games Convention"and the "Tourism Trade Fair". Business: In recent years, many companies in the region of Leipzig has grown. Some are Siemens, Amazon, Porsche and BMW. The Business with telecommunication products like PC-Ware and t-Systems runs in Leipzig. Supply of power like VNG gasworks had an important place in Leipzig. Leipzig is also a well known place of banks in Germany. Since 2008 works the Cargo Company DHL on the airport Leipzig/Halle. The central office from MDR works in Leipzig. The Media city is a complex from television studios and movie production situated in Leipzig. Some private radio stations produce in Leipzig.